Backed by a wealth of experience, we offer a range of construction services. Rely on us when you're looking to begin a building project. 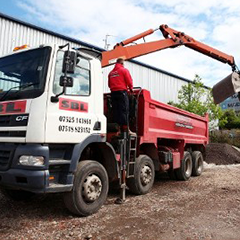 When you hire a grab lorry, waste removal is made quick and easy. We remove inert waste, including brick, soil, concrete, and clay. 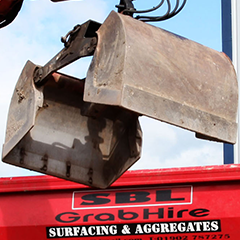 Complete your next construction project on time and on budget with aggregates from SBL Grab Hire. We also offer mini digger and driver hire. Call us when you're in need of assistance from a grab hire company. Effortlessly clean up your site with help from SBL Grab Hire. 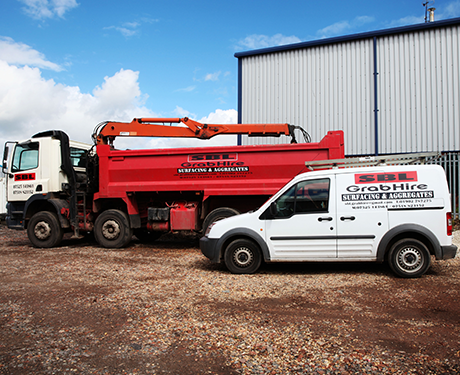 We're a grab hire company based in Wolverhampton, West Midlands, and we provide reliable grab lorries for domestic, commercial, and industrial usage. Backed by more than 20 years of experience, we offer an assortment of reliable services to help make your building project easier. This includes groundwork, construction work, and mini digger hire. We're proud to offer the whole package, and it's why so many people rely on us for assistance. Having been in the industry a long time, we have the skills and expertise to complete jobs quickly and efficiently. We also utilise state-of-the-art equipment to ensure the work is completed to a high standard. What's more, we're VAT registered and also hold a valid waste carried licence. With rapid response times, we work tirelessly to be able to offer reliable services at affordable prices. We operate on a same-day or next-day basis, so you can complete your project on schedule. Just give us a call and let us know what needs doing and we'll be there to help. Contact us today, in Wolverhampton, West Midlands, for grab lorries that allow you to complete grab hire needs both easily and quickly.